Catalogue > Cities: maps and sights of cities and villages > 1. North Brabant and Limburg > MAASTRICHT. Vrijthof en Sint Servaaskerk. 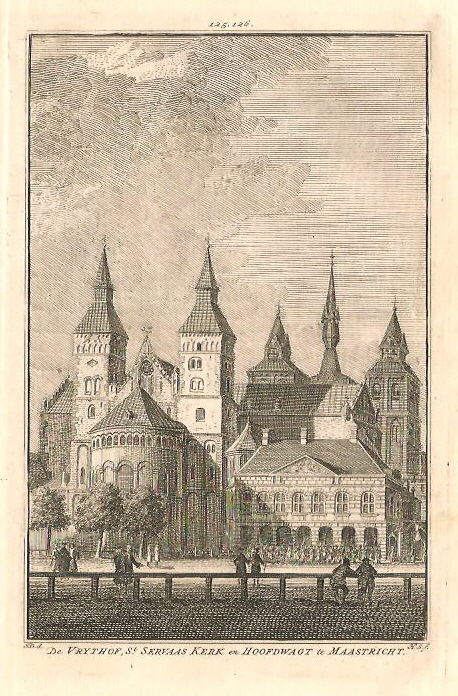 De VRYTHOF, St. SERVAAS KERK en HOOFDWAGT te MAASTRICHT. Hoogte 16 cm; breedte 10,3 cm.